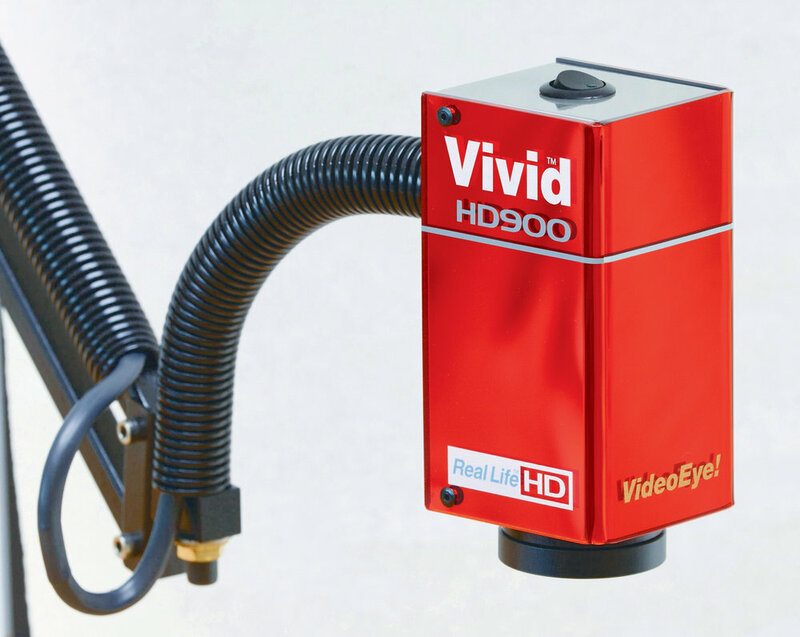 The Vivid HD900 is the very best VideoEye magnification system. It gives a lifelike image that is so natural and perfect we call it Real Life HD. It is hard to believe it could be so good. The HD900 is a visual powerhouse that makes material easier to read and objects and photos easier to see. The HD900 is a stunning contemporary design with beautiful mirrored acrylic and chromed components. It will complement any room in your home. Owning an HD900 is an investment in your future vision. You will be glad you purchased our premier system. The Vivid HD900 magnifies with far more detail than you could even see with perfect vision. Small letters are easy to read because the image is so sharp and real. And it can reach up to 100x power, so there is vast magnification reserve even if vision is severely impaired. The magnification level and field of view adjusts with a remote control so you can change power without touching the camera. When you use a lower magnification power, you see more at the same time - up to eighteen inches wide. 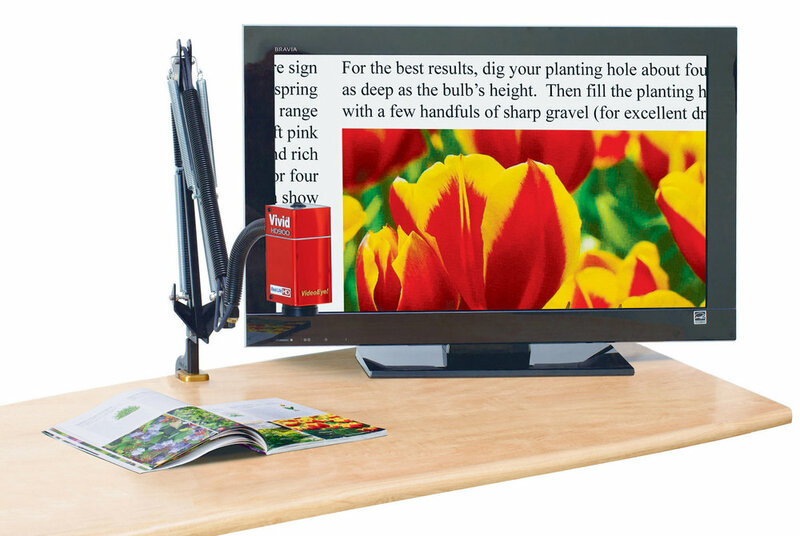 At 2x power, the field of view is so wide you can open a large magazine and see both pages together! The HD900 is compact, contemporary, and delightful to use. Automatic focus continually follows anything you move under the camera, and you can view objects in a three-inch vertical focus zone above the work surface.